Chart Patterns: After the Buy goes beyond simple chart pattern identification to show what comes next. 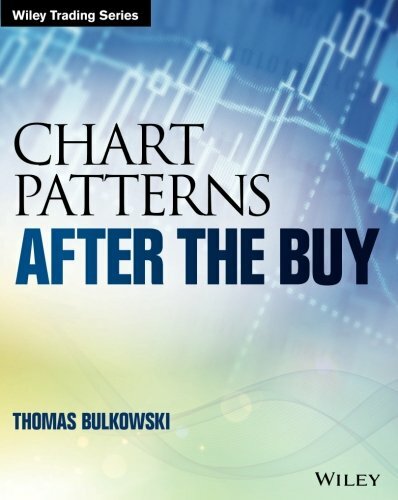 Author and stock trader Thomas Bulkowski is one of the industry's most respected authorities in technical analysis; for this book, he examined over 43,000 chart patterns to discover what happens after you buy the stock. His findings are detailed here, to help you select better buy signals, avoid disaster, and make more money. Bulkowski analyzed thousands of trades to identify common paths a stock takes after the breakout from a chart pattern. By combining those paths, he discovered the typical routes a stock takes, which he calls configurations. Match your chart to one of those configurations and you will know, before you buy, how your trade will likely perform. Now you can avoid potentially disastrous trades to focus on the big winners. Each chapter illustrates the behavior of a specific pattern. Identification guidelines help even beginners recognize common patterns, and expert analysis sheds light on the period of the stock's behavior that actually affects your investment. You'll discover ideal buy and sell setups, how to set price targets, and more, with almost 370 charts and illustrations to guide you each step of the way. Coverage includes the most common and popular patterns, but also the lesser-known ones like bad earnings surprises, price mirrors, price mountains, and straight-line runs. Whether you're new to chart patterns or an experienced professional, this book provides the insight you need to select better trades. Knowing the pattern is one thing, but knowing how often a stop will trigger and how often you can expect a stock to reach its target price is another matter entirely—and it impacts your trade performance immensely. Chart Patterns: After the Buy is the essential reference guide to using chart patterns effectively throughout the entire life of the trade.